I’ve recently started teaching a creative writing class to a group of homeschooled children ages 10-12. Akin to a “writer’s room” in the television industry, we sit around a long table and brainstorm ideas for a group story. Initially, I wondered if this idea would take flight. The best part of group writing is that it also inspires reading as a group. One time, one of the children suggested an idea similar to a book she was reading. The others weren’t familiar with the book, so we decided to make that our reading club book for the month. Ask them to imagine a new super hero power and how they would use it. Encourage them to “discover” a new species of animal combining two of their favorite animals. 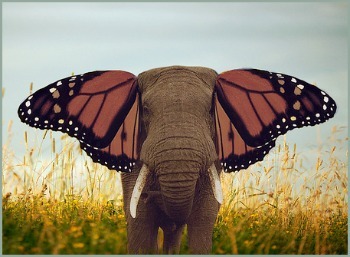 (Check out the “butterphant” on this post!) What does it do? Let them pretend that they’re taking a trip. Ask them by what means they plan to travel, where they’re going, and what they will do when they arrive. Being creative with children helps spark my own creativity. 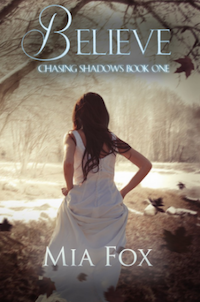 You might want to check out the #FREE deals on my books this month.